2018 Shelby 1000 Preview: Behold The Shelby’s Track Star! Home » Automobiles-Cars » 2018 Shelby 1000 Preview: Behold The Shelby’s Track Star! Muscle cars have always been one of car enthusiasts’ greatest choices, especially in America. And among the muscle cars, Ford, Chevrolet, and the Dodge are probably the most prominent competitors in this market. But this time, our focus will be the legendary Ford, specifically the 2018 Shelby 1000 which has just made appearance in SEMA 2017. With the insane horsepower of over 1000, will the 2018 Shelby 1000 make a blast on track? Let’s take a look! 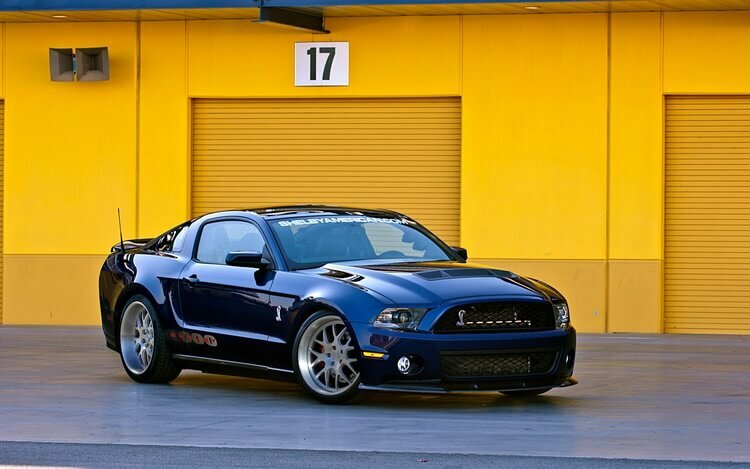 Back to 2012, the very first Shelby 1000 was released in both street and track model. The street model possesses a whopping 950 horsepower, while the track version can push the limit to 1100 horsepower. Its power is no doubt incredible, and after 5 years, the insane Shelby 1000 has returned once again under the name 2018 Shelby 1000. Similar to 2012 Shelby 1000, the 2018 Shelby 1000 also has tremendous power. And of course, it is even more powerful than its predecessor with at least 1000 horsepower. It was introduced just recently in SEMA 2017 and there will be 50 of them produced each year. Unfortunately, 2018 Shelby 1000 is dedicated to track purpose only and there will be no road-legal version built. The most significant part about 2018 Shelby 1000 is obviously its incredible speed. For the engine, 2018 Shelby 1000 receives the 5.2-litre Alluminator V-8 engine, including the 4.5-litre Whipple-designed supercharger. Its engine may share certain similarities to Ford Shelby GT350. But overall, the two engines are significantly different, especially when the Shelby GT350 is naturally aspirated, while the 2018 Shelby 1000 utilizes the power of 4.5-litre Whipple-designed supercharger. Besides the new engine, this new track-specialized Shelby also gets new upgrades, for example the high flow fuel system, new intercooler, enhanced transmission, and a modified ECU for better extra power handling. Although the company hasn’t shown the full spec yet, the 2018 Shelby 1000 is expected to even reach 1500 horsepower. So, what if we test the 2018 Shelby 1000 on a straight line? This is still speculation, yet, we can expect it to exceed 60 mph in less than 2.5 seconds. Possibly it can come close to Dodge Challenger Demon at 2.3 seconds. Talking about the exterior, “aggressive” is definitely the best word to describe this new model. Overall, the 2018 Shelby 1000 gets a wide-body kit including wider fenders, redesigned hood with massive bulge. The front and the end are made wider which gives the 2018 Shelby 1000 an even more aggressive look. Not only that, they go extremely well for handling, especially with the wider wheels and tires, adjustable coil-over suspension, and large Brembo brakes. Similar to the exterior and the driving engine, the 2018 Shelby 1000’s interior also gains various changes, typically the illuminated sill plates and Katzkin leather wrapped front seats. Since the 2018 Shelby 1000 is built for purely track purpose, the rear seats are not included and instead, a four-point roll-bar with harness system is installed for better safety. As the original Shelby 1000’s successor, the 2018 Shelby 1000 will still maintain the similar interior design. But of course, it won’t just use the same interior design as the 2012 Shelby 1000. This new generation’s interior also has various modern enhancements, including modern features like personalized LCD and Ford SYNC Connect with FordPass. Overall, 2018 Shelby 1000 is an impressive successor to its original Shelby 1000 in 2012. All of its new upgrades and especially the speed are definitely worth for. Since we still haven’t seen it in action yet, let’s not compare it to other significant competitors yet. 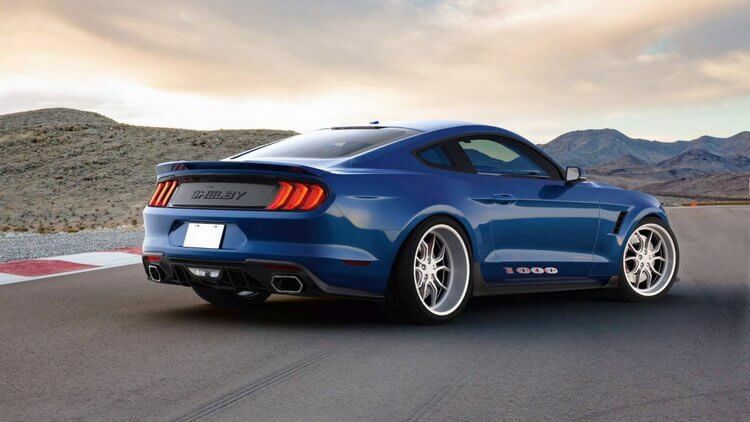 Yet nonetheless, this new Shelby 1000 will make a great opponent in the market. At the moment, the company announced that only 50 of them will be made per year. Buyers will need to spend $169,995, and also, it is only available for those who donor a Ford Mustang GT (which costs $35,095) can buy this new ride. That mean, 2018 Shelby 1000 will cost $205,090 in total. And that’s it folk! 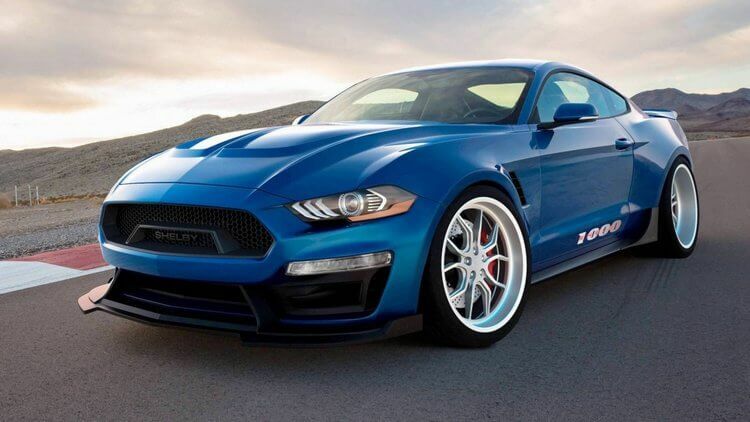 What do you think about the new Shelby 1000? Feel free to share with us and for now, stay tune for more news in the future! Top 10 Rarest Supercars You Probably Will Never See, Ever! 2018 Ford Mustang Review: Is It a Pony? No! It’s a Wild Horse! Battle of the Brawn: 2018 Chevrolet Camaro SS vs 2018 Ford Mustang GT! 2017 Ford GT: Pressing Towards The Future! The World’s Craziest Car Festival: Gumball 3000 Rally 2018! The Top 20 Concept Cars For The Future of 2020s!